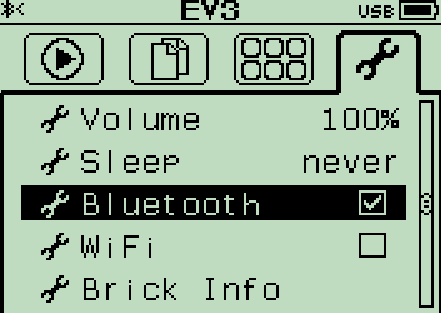 This example shows how to connect to an EV3 brick over a Bluetooth® connection from a host computer that is running Windows®. 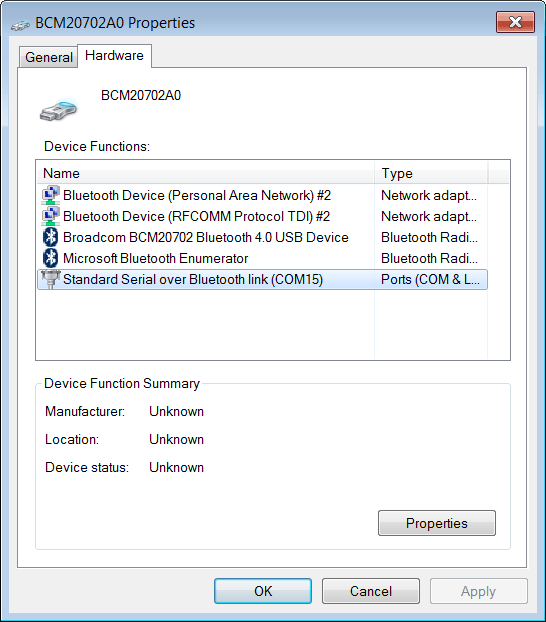 If your host computer does not have Bluetooth built-in, attach a compatible Bluetooth dongle to the host computer. 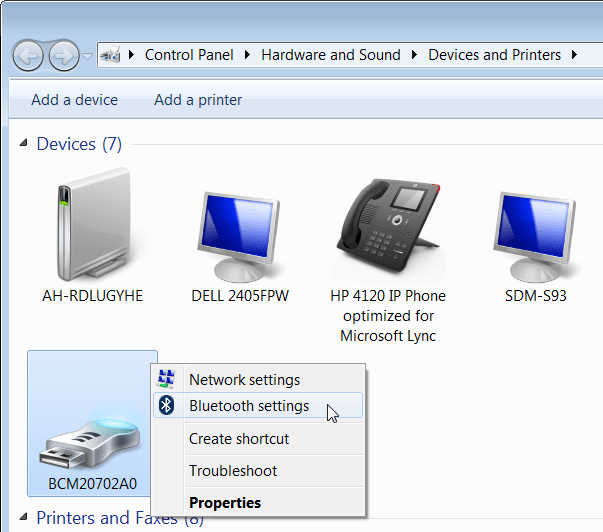 In Windows, click Start > Control Panel > Hardware and Sound > Devices and Printers. 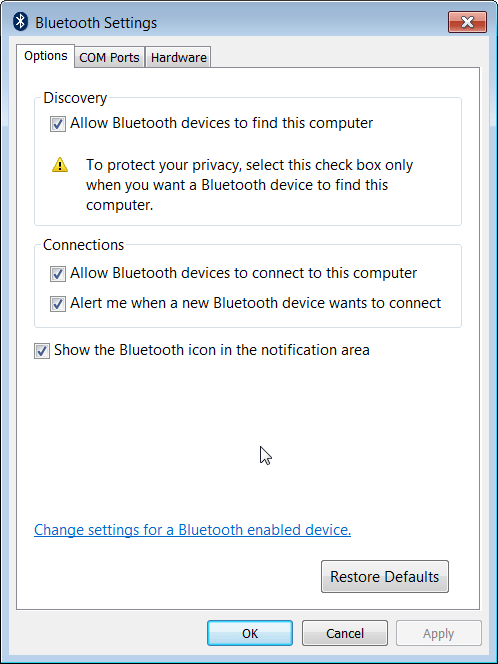 Right-click the Bluetooth device and select Bluetooth Settings. 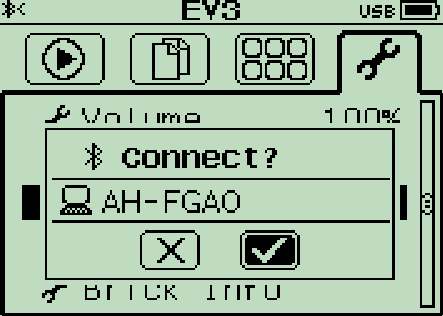 Enable the Discovery and Connections settings. 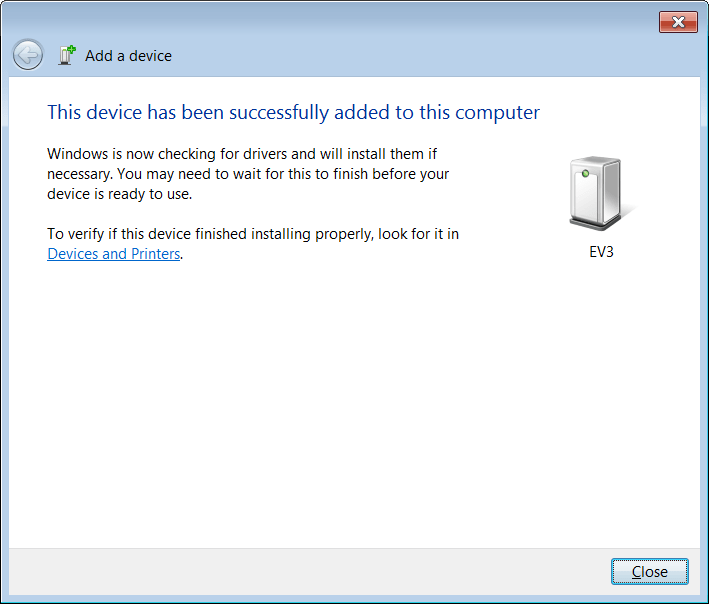 In Windows, open the System Tray. 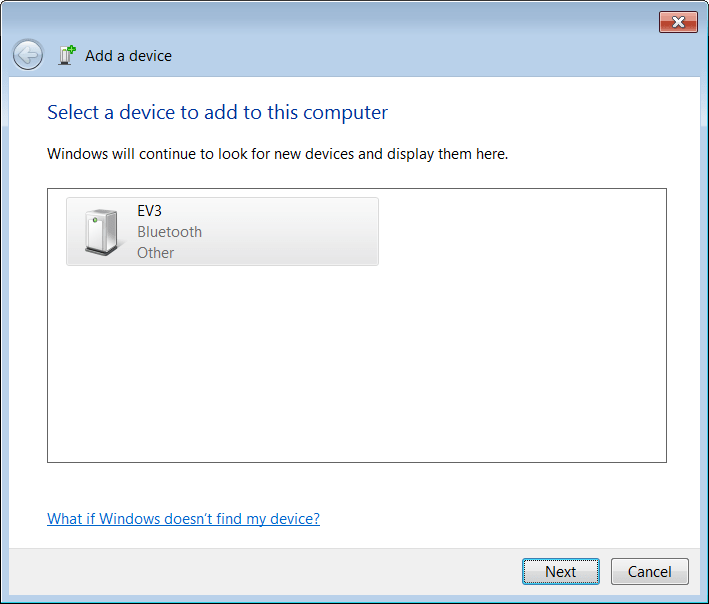 Right-click Bluetooth Devices and select Add a Device. In the Add a device dialog box, select EV3 and click Next. 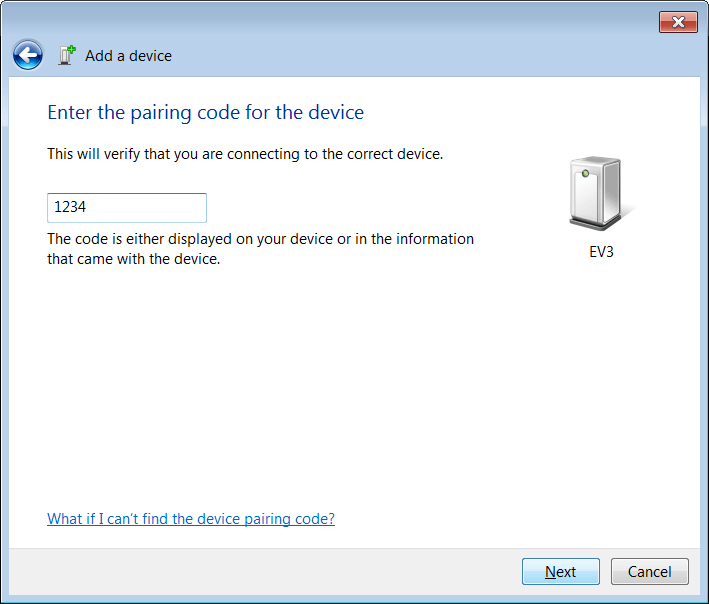 On Windows, in the Add a device dialog box, enter the passkey value as the pairing code. Click Next. 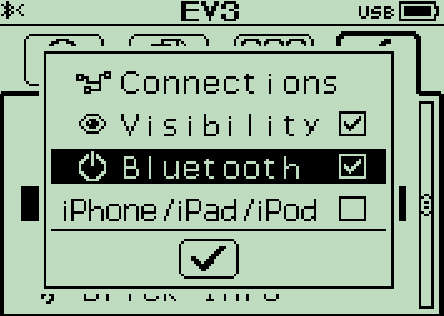 In the Properties dialog box for the Bluetooth device, read the COM port number. In the MATLAB® Command Window, use the legoev3 function to connect to the EV3. 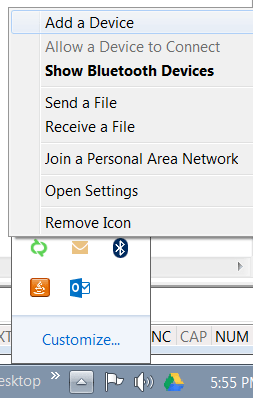 Specify the connection type, Bluetooth, and the COM port.